Last week the weather was lovely and we went for a little hike. We noticed some midges hovering in a cluster over the trail and then we noticed dragonflies hunting the midges. 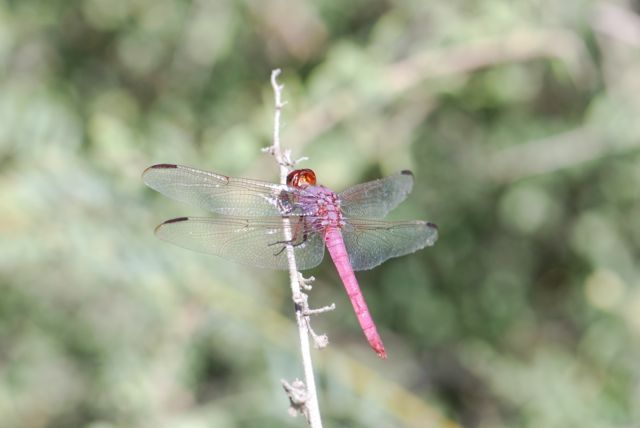 The air was suddenly filled with roseate skimmer dragonflies, Orthemis ferruginea. Unfortunately the photographs just don't show the amazing color they were. Imagine a shimmering purple to magenta. Theses are males, based on color. The females are brown. 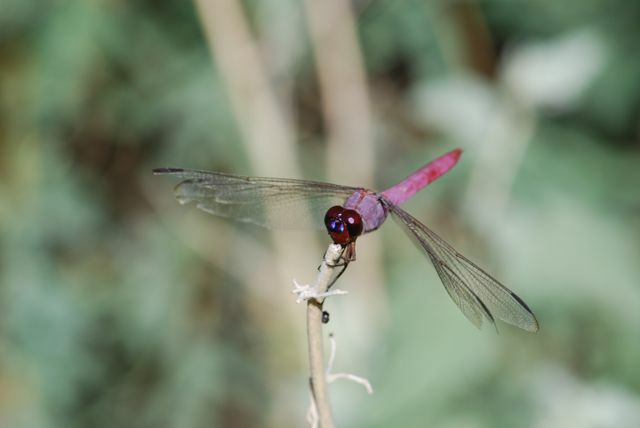 Arizona Dragonflies has more photographs. Roseate skimmers are found throughout North America and even into northern South America.